This point-and-tap mystery is based on Agatha Christie’s classic novel, but the adventure will appeal to everyone—fans and non-fans alike. Put your detective skills to the test with Agatha Christie: The ABC Murders—a clever point-and-tap mystery adventure that seamlessly moves you through the classic murder novel in the shoes of Christie’s famous protagonist, Hercule Poirot. You play as Poirot, an eccentric Belgian detective with a Watson-like assistant and a sharp mind, and your task is to figure out the identity of a serial killer who chooses his victims based on the first three letters of the alphabet. You will need to use your brain—or rather, your “little grey cells”—to solve puzzles, question witnesses and suspects, and make keen observations that will help you draw conclusions and move the case forward. Although you’re playing within Christie’s plotline, you have plenty of freedom as Poirot to ply suspects with kindness or threats, and to draw quick conclusions without fully exploring all the possibilities. 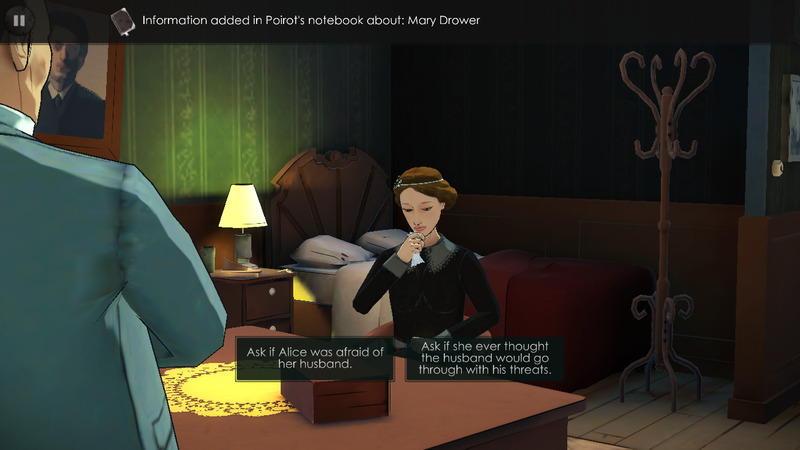 It’s an Agatha Christie novel: While many mobile games fall short when it comes to character development, writing, and overall plot, this game is based on Agatha Christie’s famous novel of the same name. The ABC Murders does an excellent job of recreating Christie’s story in a way that keeps you on your toes—in fact, this game even manages to throw in all the plot twists without giving too much away. It’s an interactive narrative, which means that the plot is mostly pre-defined regardless of your actions, but you’ll feel like you’re really solving the mystery. All lines of dialogue are spoken (and displayed as text), which makes the game feel much more immersive. 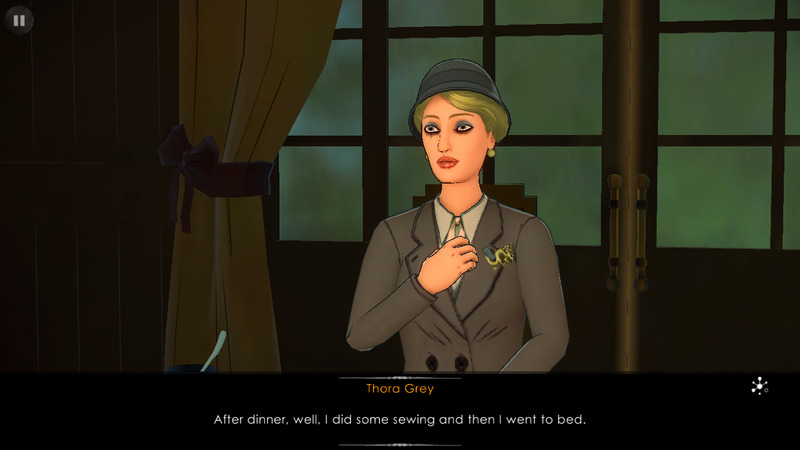 This game is fully voiced, which is rare for a mobile game—most games feature snippets of dialogue and rely mainly on text to move the story forward. But The ABC Murders first debuted earlier this year as a PC game, so it has a higher production value than most of the other games you’ll find in the App Store. The full spoken dialogue and the way characters are completely fleshed out through clues and observations really make this game a truly immersive experience. 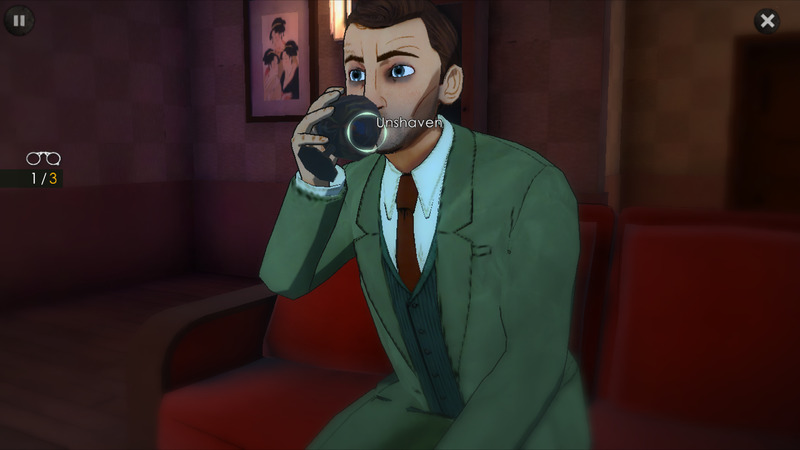 You don’t need crazy detective skills: This is a point-and-tap detective game, but you don’t need to be quite as insightful as Poirot is to solve the mystery. 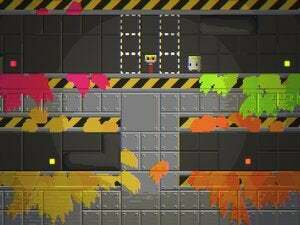 The game features several different types of mini-puzzles, which involve interacting with objects, collecting clues, and using deductive reasoning skills to draw conclusions based on the information you’ve gathered. These puzzles are all just challenging enough that you’ll need to use your “little grey cells,” but none are so difficult that you’ll find yourself desperately Googling for a walkthrough. Points of interest are indicated with small white circles. Tap on these circles to interact with an object or observe a scene. 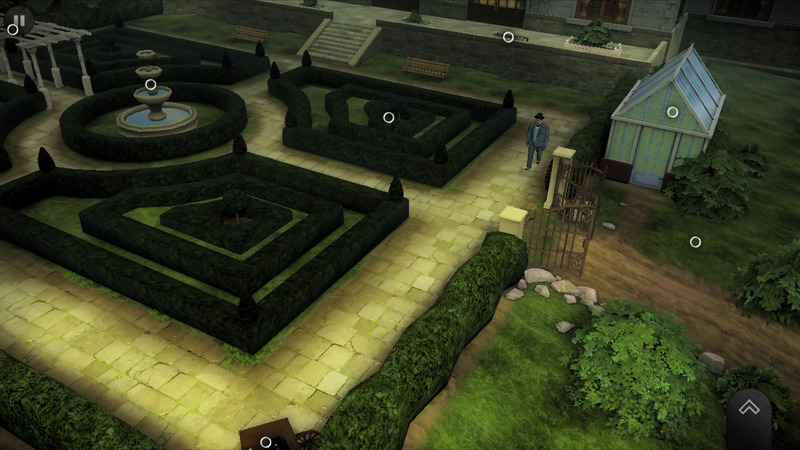 The game asks you to explore your surroundings as Poirot: Tap an area of the screen, and he will walk in that direction. 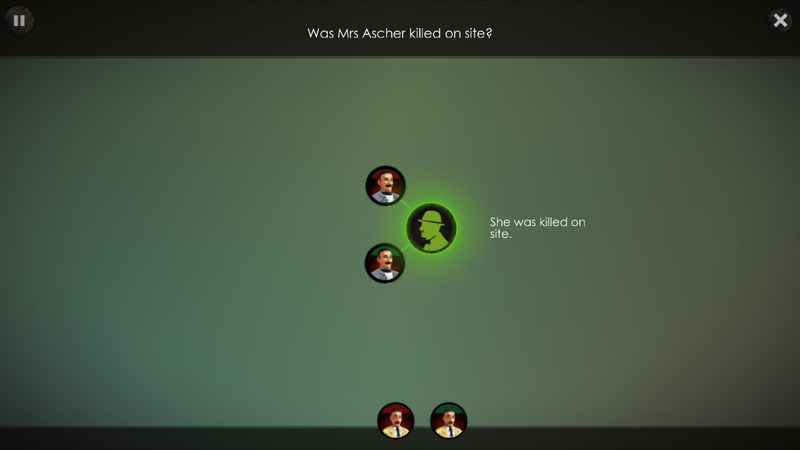 Points of interest are marked on the screen with white circles; tap a circle and Poirot will interact with the POI, either by commenting on the scene, entering into a conversation, or by taking a closer look at an object. Poirot uses skills of observation to figure out how suspects are feeling. People and scenes present an interesting mini-puzzle in which you are asked to make three observations that support a statement about the scene. For example, Poirot might comment that a man looks nervous, and you will need to tap the visible signs of the man’s nervousness—shaking hands, rumpled clothing, darting eyes—to solidify this clue in Poirot’s mind. 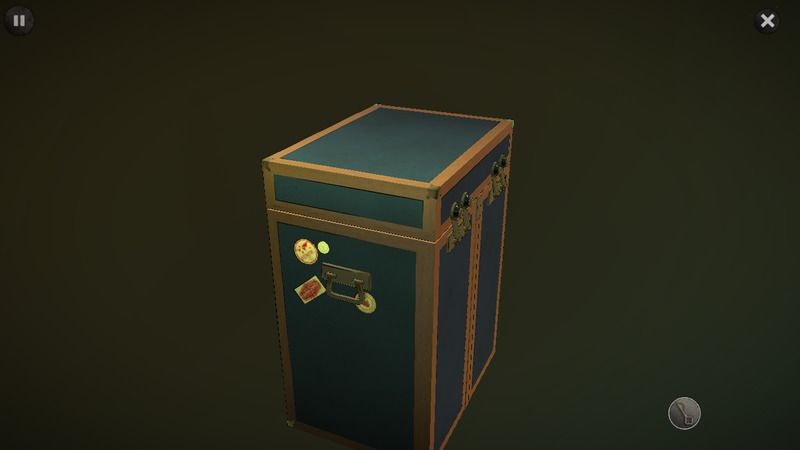 Many objects, like this trunk, are puzzles you’ll need to solve before you can see the contents. Many of the objects Poirot comes across in his adventure can be manipulated. Some objects are letters that must be read, while others are boxes or safes that must be opened. In the case of the latter, you’ll need to solve a puzzle or hunt for clues (like passwords and safe combinations) in order to progress. In deductive reasoning puzzles, you will need to match clues together to answer questions. The deductive reasoning puzzles are perhaps the most unique and difficult. In these puzzles, you will need to use the clues you’ve gathered (by questioning people, reading letters, and poking around in safes) to come to conclusions. In most cases, you’ll need to add two or more clues together to formulate a definitive answer to the question that’s being asked. The details matter: As you’ve probably figured out by now, The ABC Murders is pretty closely based on the book. If you already know how Christie’s novel plays out, you might be inclined to skip this title, but you shouldn’t—because this game is about more than just solving the mystery and finding the murderer. The ABC Murders is packed with little details and achievements that will keep you interested even if (or, should I say, especially if) you’re a diehard Christie fan. Like other mobile games, The ABC Murders offers 50 achievement trophies that you can win at various points in the game. Some of these trophies will be won by following the main storyline (such as ending a chapter), while other trophies can only be won by performing actions that are not necessary to the main plot, or even by making mistakes. These trophies add an extra element of competition to the game because they’re not necessarily intuitive—you won’t win all of them by simply solving the mystery. Poirot has his own personality—question the subjects like he would, and you’ll earn ego points (and Agatha Christie fan bragging rights). In addition to trophies, the game also has a separate type of achievement: Ego points. This is where the real Christie fans can step up, because ego points are awarded when you perform particularly Poirot-style actions. For example, if you ask the right questions (in the right order) when you’re questioning a subject, you’ll receive more ego points. If you observe certain things—even if they’re not things you need to observe to solve the mystery—you’ll get ego points. If you check yourself out in a reflective surface (Poirot is, apparently, quite vain), you’ll get ego points. There are 600 ego points to be earned in total, and if you can manage to earn all 600 of those, you’ll know that you not only solved the mystery—you did it in true Poirot style.